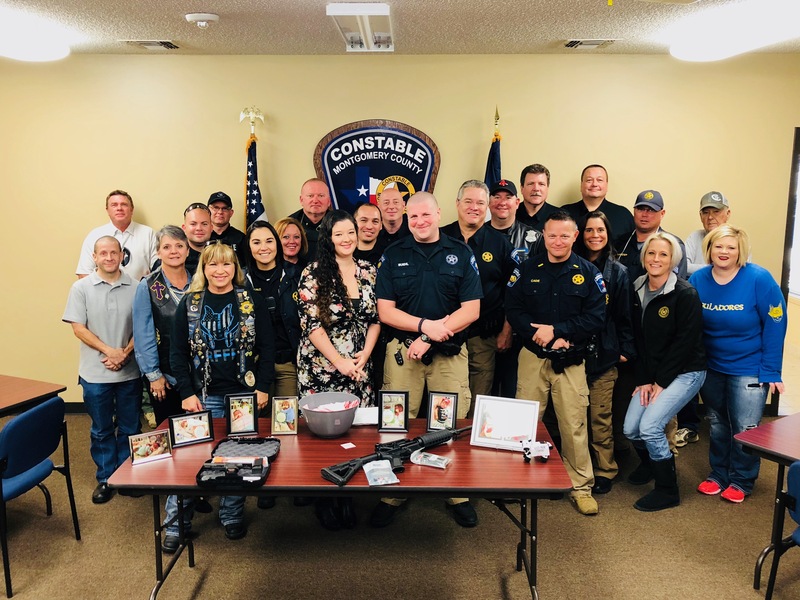 For the past several months, the Lone Star Chapter, of the Reguladores Law Enforcement Motorcycle Club along with the Precinct 1 Constable’s Office joined together to sell raffle tickets to help raise money for a Precinct 1 deputy and his family. In April, the Buehl’s welcomed a baby girl into their family. Baby Charlotte was born premature and remains in the hospital. 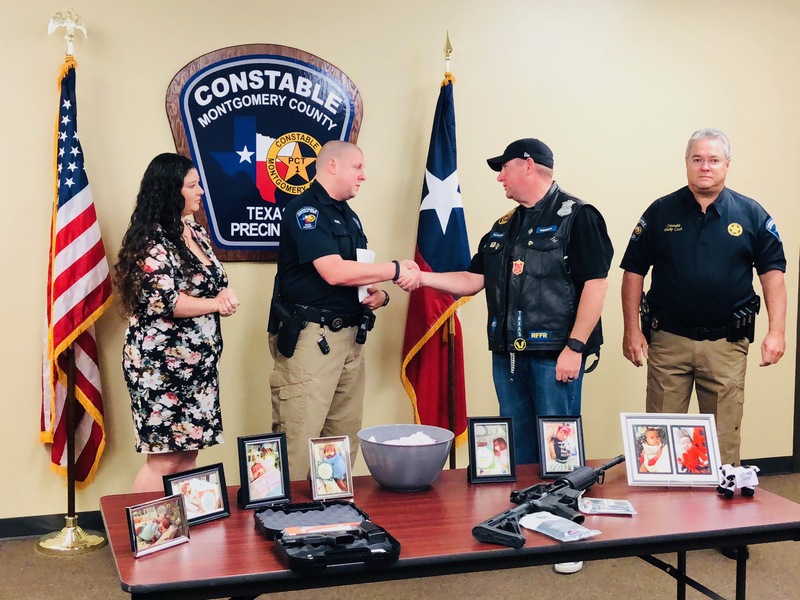 Today the raffle winners were announced and the Buehl family was presented a check from the Reguladores Law Enforcement Motorcycle Club (501C3) for $14,000. The Reguladores Motorcycle Club and the Precinct 1 Constable’s office further wish to thank everyone who participated in this noble cause. Please keep Baby Charlotte and the Buehl Family in your prayers.